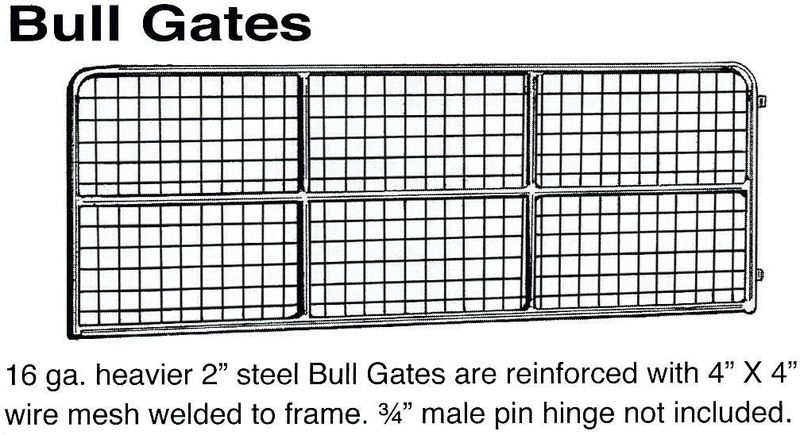 6-Bar Gates are manufactured from 1 3/4" 18 gauge galvanized steel tube. 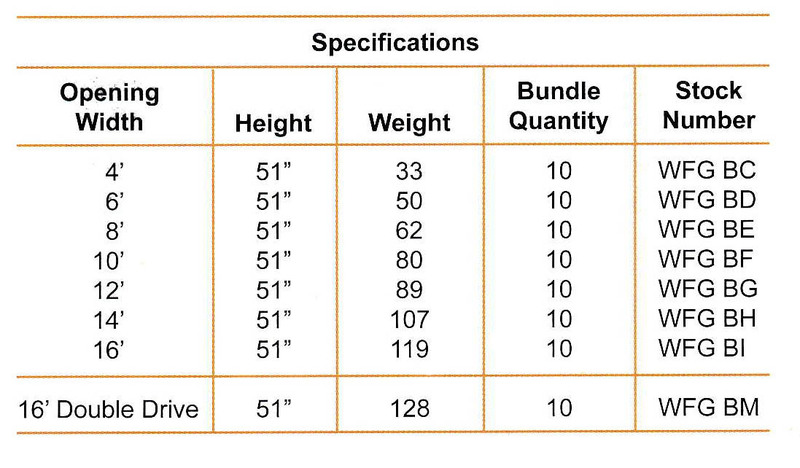 The gate is 50" in height with 8" to 9" openings between the horizontal bars with vertical braces. 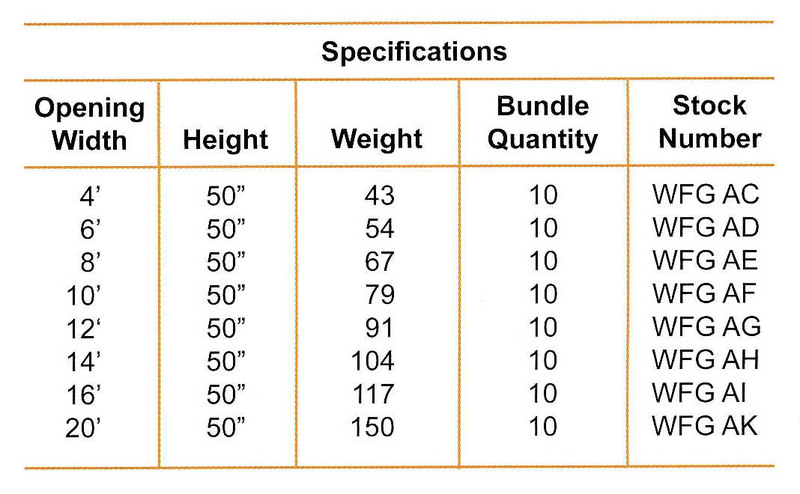 4' gates do not need bracing while 16' gates have two sets of braces. A chain latch is welded in place. Galvanized 5/8 hinges (included) are adjustable for easy installation and height adjustments. Manufactured of heavy 16 gauge 2" steel. 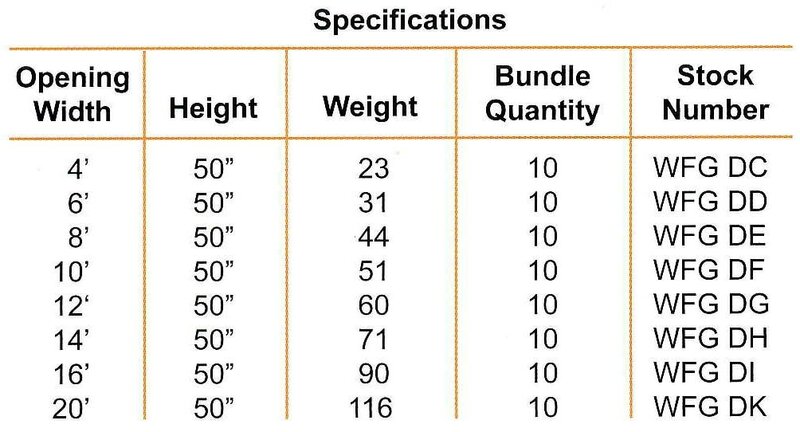 Hand welded joints are made to withstand heavy use. 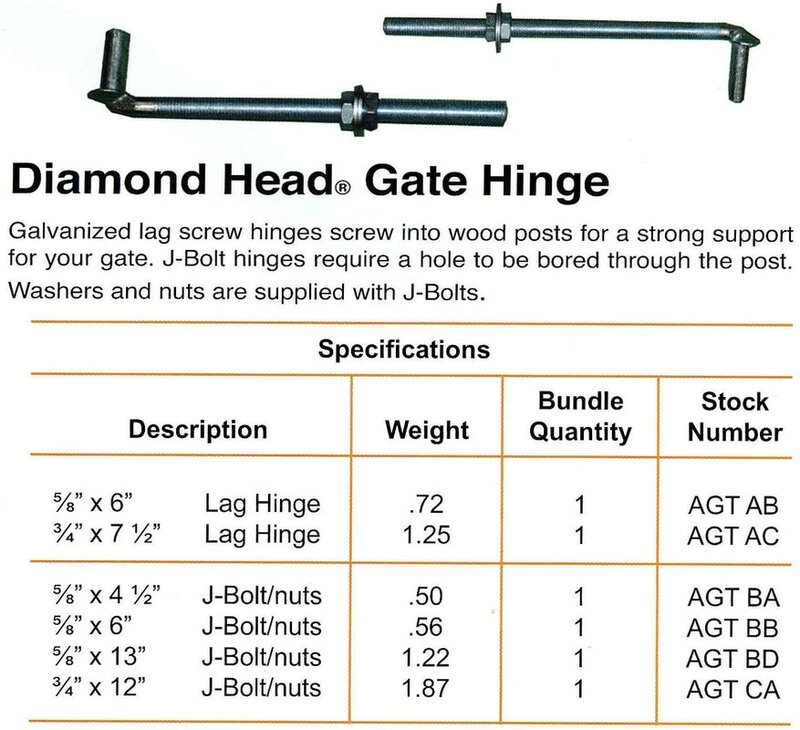 Galvanized 3/4" hinges (included) are adjustable for easy installation and height adjustment. Made in the USA and coated with unleaded green paint. Two sizes for all your gates. Heavy steel construction. Latch automatically locks in place using gravity pins. No springs to wear out. Latches from either direction. Powder coated for long life. Larger latch (Sliver finish) fits up to 2" gate. Smaller latch (Black finish) is ideal for chain link and ornamental gates (1 1/4"-1 1/2").